Deb Crowe manages accounting and traffic for AbsolutAire. She is responsible for all aspects of accounting, including invoicing, accounts payable, daily journals, and monthly income statements. In managing traffic, or order tracking, Deb is charged with order entry to the shop floor, bills of material (BOM) accuracy, and monitoring order progress toward completion and shipping. 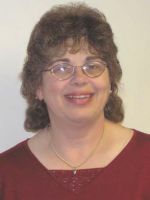 Deb began her HVAC career in 1975 with DuoAire, Inc., holding various positions in accounting and administration. When the operations became part of AbsolutAire in 1992, she joined the company to lead the accounting function. Deb holds an Associate’s Degree in Business Accounting from Kalamazoo Valley Community College (KVCC). She has also earned continuing education credits in various coursework at Western Michigan University.